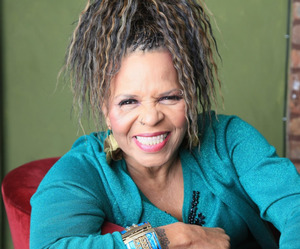 Thu, December 7, 2017 7:30 P.M.
“Extraordinary and wonderful” (New York Times), Ntozake Shange wrote the Broadway-staged Obie Award-winning for colored girls who have considered suicide/when the rainbow is enuf, the groundbreaking prose poem/theater piece hybrid that since 1975 has helped reveal what it is to be of color and female in America. The recipient of a Guggenheim Foundation fellowship and a Pushcart Prize, she is also the author of many works of fiction, including her debut novel Sassafras, Cypress & Indigo and story of Liliane. In Wild Beauty, Shange presents more than 60 original and previously collected poems in English and Spanish as a call to action for a new generation of activists. Yolanda Wisher is the 2016-17 Poet Laureate of Philadelphia. She is the author of the poetry volume Monk Eats an Afro (Hanging Loose Press, 2014) and co-editor of the anthology Peace is a Haiku Song (Philadelphia Mural Arts, 2013). She performs a unique blend of poetry and song with her band The Afroeaters, and her writings have been featured in a variety of media. A Pew Fellow, Cave Canem Fellow, and Hedgebrook Writer-in-Residence, she is currently the 2017-2018 CPCW Fellow in Poetics and Poetic Practice at the University of Pennsylvania.